JULY BLOGGER COLLABORATION WITH EJM FASHION: FAVOURITE SHOPS. If you’re active on my Twitter you may know that I have teamed up with Enya Morrisroe at EJMfashion for a collaborative project in conjunction with our respective blogs. To view last month’s post on our top five favourite fragrances, click here! Due to my holiday and other prior commitments on both mine and Enya’s parts, this month’s blog post is up a little later than anticipated, but hey, we’re all human right? In future, these posts with hopefully be up on the 1st of every month, alternating on our respective blogs, so stay tuned! This month however is a collaboration of mine and Enya’s top four favourite places to shop! As you know I am an avid fan of shopping, if you can even call it something to be a fan of, as is Enya and together we came up with shopping to be our next topic! We certainly have a lot to talk about so I’ll stop rambling on and let you read what Enya had to say first! Jack Wills Halifax has been at the centre stage on my shopping list ever since last summer when they opened a new store within Dean Clough, Halifax Business Park. Ever since opening they offer all the seasonal lines and campaigns you’ll find in the original Jack Wills shop however, their prices are at an outlet price (for instance I bought one of their sweaters for £30 whereas in store it’s £69). Yet you’re still getting all the original Jack Wills stock you would normally see in any store. To be honest it’s just like another Jack Wills shop with its great British house décor from the pictures on the walls to the pink and navy blue painted walls amongst the Union Jack flag. Yet you’re not breaking the bank and you’re getting more for your money when shopping the brand. To top it all off the store is celebrating their 1st year of opening on the weekend of 3rd to 4th August 2013 with a birthday party. I’ll be attending since I’ve worked closely with the store regarding their brand awareness however, for the meantime until I do a post regarding the birthday party you can contact via their twitter handle: @JWHalifaxOutlet or Shop Directly in store. Having first came across this luxury online retailer only a couple of years through a dear friend of mine. I’ve find it is a place to enjoy luxury and yet celebrate our emerging talent of brands and designers whilst shopping their goods available on site. 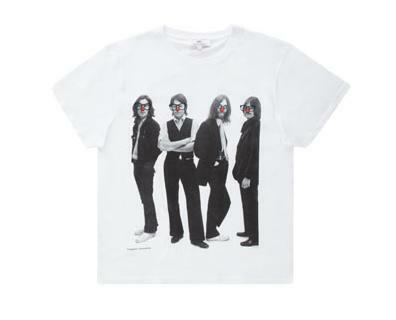 Really the whole family is stored when it comes to shopping on thenandnowshop.com because the website caters for Womenswear to Childrenswear. The website of the store includes a great tool which is called ‘ Fashionista Fairies’ which is used when you’re stuck for something to buy for an occasion regarding, whether or not it’s for you or a friend etc. It will help you decide whether or not the goods you’re wanting to buy is suitable or not. I’ve used it and it simply works. It’s the only place online I shop when I’m in the mood however I don’t really shop online because I like to see the clothes and I believe that we should keep our high street and retail alive. Out shopping is what I like to do wherever I am! I like our great department stores especially when I’m back in London because they open up all department and clothing which you won’t see up here in Yorkshire. Since we’ve got the Trafford Centre, Victoria Quarter, to shops on the streets a lot of department stores are a main feature within any town. This is a helping hand because I know that Debenhams to John Lewis will cater for my love for our London designers from the likes of Alice Temperley’s Somerset to Jasper Conran. Yet at the same time I can buy my perfumes to branded make up etc. all in the same place. As always I do shop our great British high street however I do have my guidelines because, I like to go with things which are a staple in the closet and have great quality. From River Island to Zara I find my feet when I’m out shopping with anyone. I’m not a big fan of Primark however do own a pair of PJ’s and dress which was carefully picked out however I’m more a Topshop, Miss Selfridge, River Island kind of girl. Although I do like an indulge moment now and then. I’ve always, always, ALWAYS had a huge love affair with AllSaints, so huge in fact it would give Romeo and Juliet a run for their money. AllSaints is always a “stand out” brand for me because they’re not afraid to push style boundaries and make everything their own. Nothing in the store is similar to anything else on the high street or even on the runways and still every piece is special, feels unique and ‘one off’. With many fellow high street brands trying (and failing) to imitate the signature cut of AllSaints items, the chain still comes out on top, showing those impostors who’s boss. With their price points aimed at the higher end of high street, the brand is definitely aimed at the more established shopper, both in life and in their style which makes their clothes even more covetable, appreciated and therefore loved. I love AllSaints, always have and always will. To check out AllSaints (which I sincerely suggest you do if you know what’s good for you) click on the above photo or click here. On the complete opposite end of the shopping spectrum, I also love Sammy Dress; an exclusively online retailer based in China. 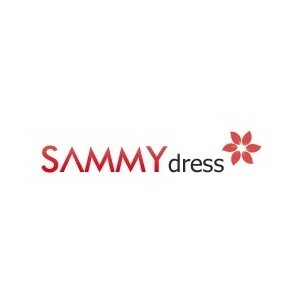 Sammydress offers a huuuuge range of clothing, literally thousands of items at excellent prices including shipping! I’ve ordered many many items of clothing from there as I’ve previously blogged about, and I’m extremely happy with the service I’ve received. I love how you can sit at your laptop, dream up an item of clothing you want and about 98% of the time, it’ll be on Sammydress! Catering to all sizes, styles and tastes, the site has so much to offer to everyone and I would thoroughly recommend a visit! I will warn you though that you probably won’t be able to leave the site without making a purchase! So click here if you want to check Sammydress out! Zara is always a fashionista’s favourite store, if you’re an avid Pinterest user, you’ll know that a lot of Zara’s products have become cult classics on street style boards and blogs. That is no surprise when you consider the amazing quality of their products with the style capabilities of a high end brand! 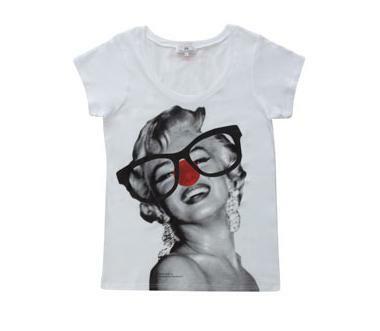 I particularly love the Trafaluc line, it always has some great seasonal pieces at brilliant price points. The Cambridge branch of Zara is particularly pleasing to shoppers because it never feels “crammed in” and crowded. The shop floor is always tidy and spacious even during the peak sales times and the staff are always (thankfully) willowing in the background rather than adopting the “attack the shopper” selling technique used by so many other shops out there today. To visit Zara’s online shop click here! 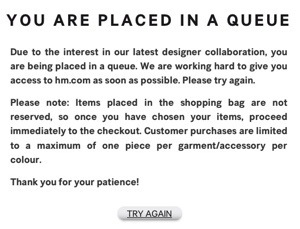 It would be fair to say that about 80% of my clothes come from H&M. And I’m not kidding. I absolutely love this store. With it’s constant refresh of stock, great flow in the stores and no pushy sales assistants, the H&M brand is definitely a favourite (hence why I’ve listed it here, duh!). With amazig prices, great quality products and amazing key pieces, you can’t really go wrong with H&M. Perfect for basic items such as underwear, plain vests in every colour under the sun, jeans and shirts, H&M is definitely my go-to brand. Now with an H&M on practically every high street, there’s no missing their great deals; particularly the bigger branches in city centres such as London and Birmingham, who carry more stock and some of the more exclusive pieces H&M have to offer. Reason number 57685 to love H&M is their amazing array of designer collaboration, this year’s being Isabel Marant! I mean, really??? Is anyone else as excited for this as me?! To shop H&M online click here, although I would say visit in store, preferably the more inner city branches to get the full range of stock!